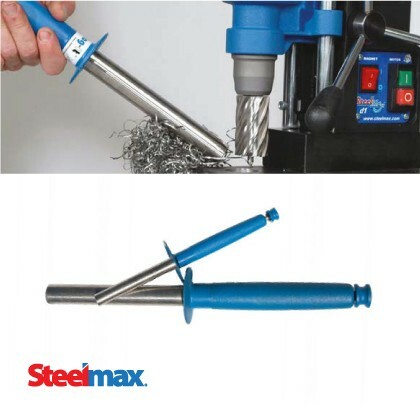 Steelmax offers an extensive range of Magnetic Drill Accessories such as Drill Chucks, Self-Reversing Tapping Heads, Cutting Fluid, pick up tools & much more. 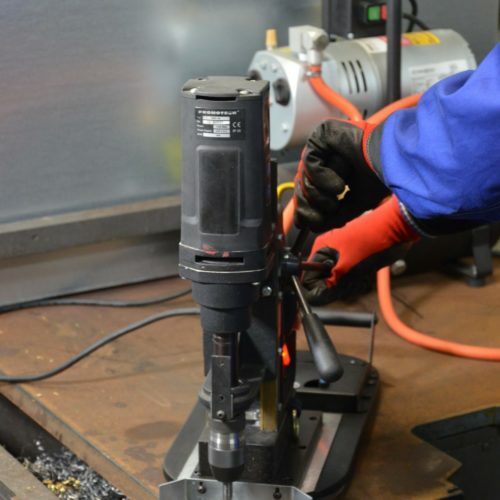 Our unique mag drill vacuum base system easily enables use of a standard magnetic drills on non-ferrous materials such as aluminum and stainless steel. 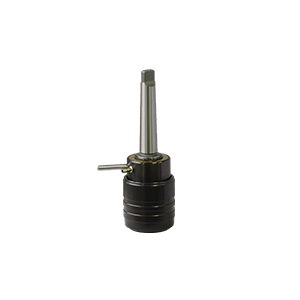 Our full line of industrial arbors and drill chucks let you expand the capabilities of your mag drill to use solid twist drill bits on smaller holes and larger annular cutters with 1-1/4" Weldon shanks. 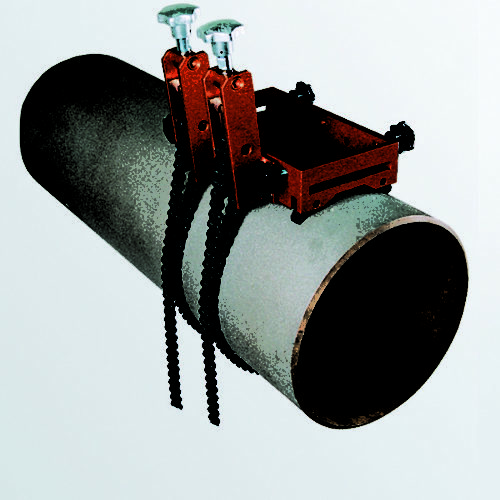 EASILY MOUNT MAG DRILLS TO PIPES FOR SAFE OPERATION Our magnetic drill pipe attachments are designed for mounting Steelmax drills on pipes, tubes, tanks, oval work pieces and other parts which can be gripped with mounting chains. SAFETY FIRST! Never pick up metal chips or shavings again. This handy magnetic tool helps you put safety first. PRODUCE GAGE PERFECT THREADS QUICKLY AND EFFICIENTLY Eliminate laborious hand tapping! 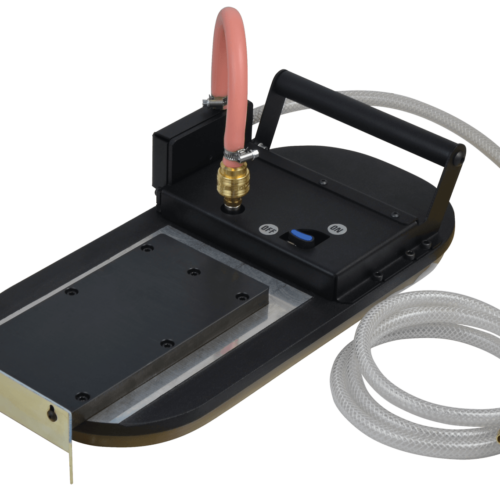 Convert your magnetic base drill to a portable tapping machine. When the drill press spindle is raised, gears within the tapping head engage, causing the tapping head to reverse, quickly backing the tap out of the hole while producing perfect threads. Achieve higher production rates. 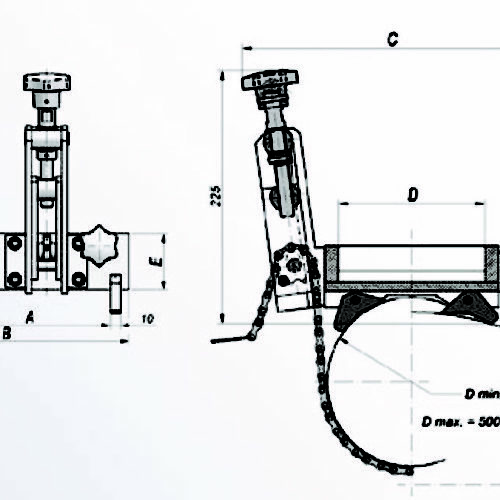 Batch quantities and heavy production rapidly achieved through accuracy and repeatability of the tapping heads. The ball-clutch mechanism reduces tap breakage and can extend the life of the tap as much as 100%. A large planetary gear reverses the tap 75% faster than the drill speed. The tapping heads include rubber flex collets which can be used across the entire tapping head capacity. 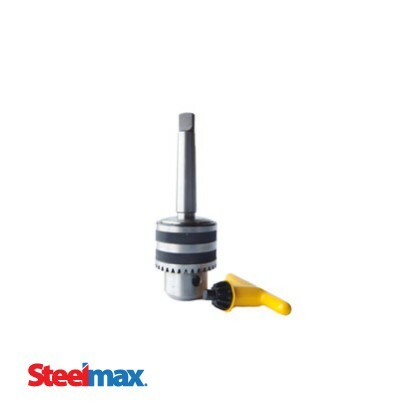 The Steelmax reversible tapping heads are excellent tools to work with the D3XRS magnetic drill with its variable speed capability. 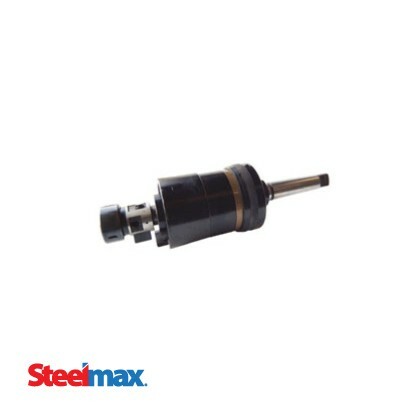 Steelmax® High Performance Cutting Fluid is a fully-synthetic, nitrite-free, water soluble cutting fluid engineered for use with both HSS and TCT annular cutters to improve cutting performance and extend cutter life. It can also be used for other grinding and cutting operations on grey iron castings, carbon steel, stainless steel, titanium and copper, brass and nickel alloys. 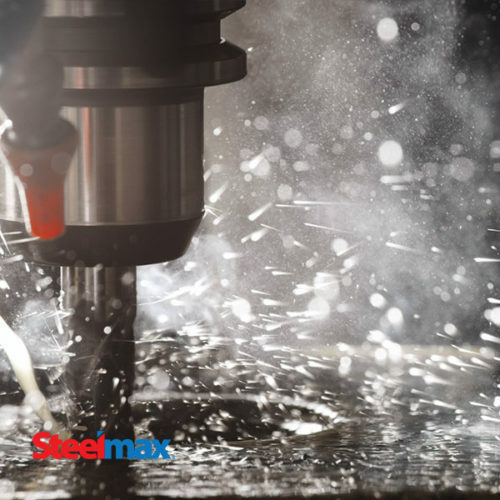 Steelmax® High Performance Cutting Fluid concentrate is available in quart and gallon sizes with a recommended mix ratio of 8 parts water to 1 part concentrate.